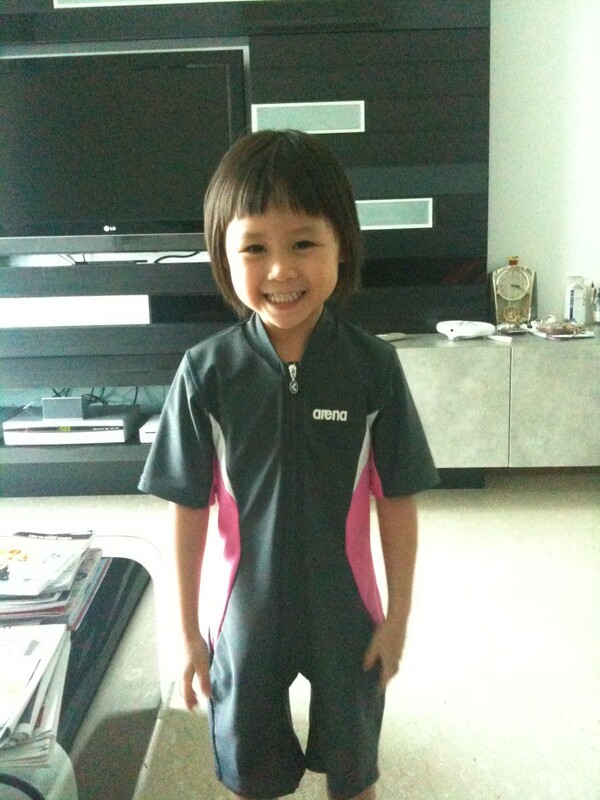 We brought a new swimming costume for Dawn after she grew out of the swimming costume which Moo Moo Ah Yee brought for her. Look at Dawn! 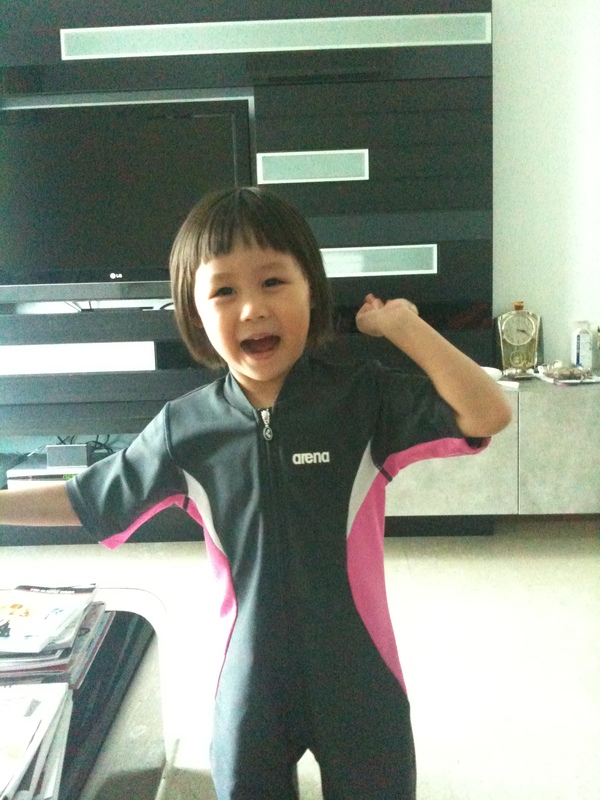 She was so excited!! 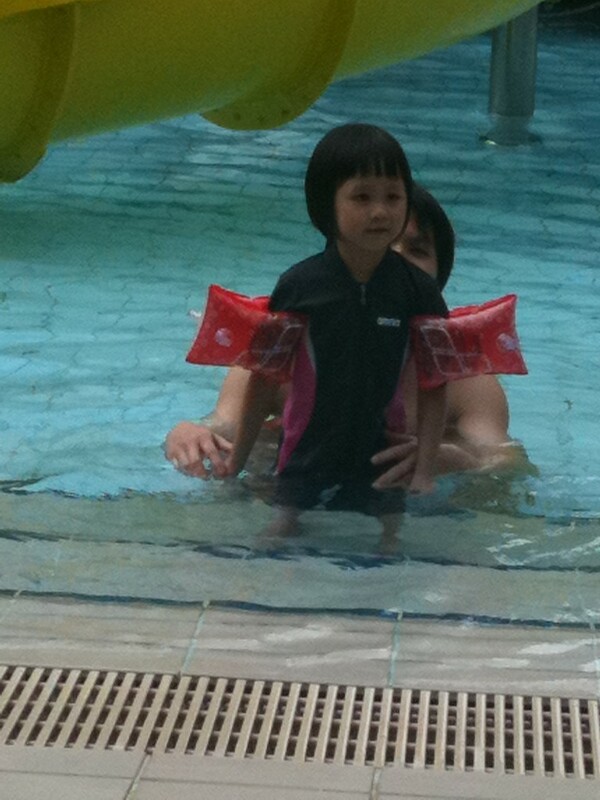 Daddy brought her down to the swimming pool first, while I waited for my sis and brother-in-law. 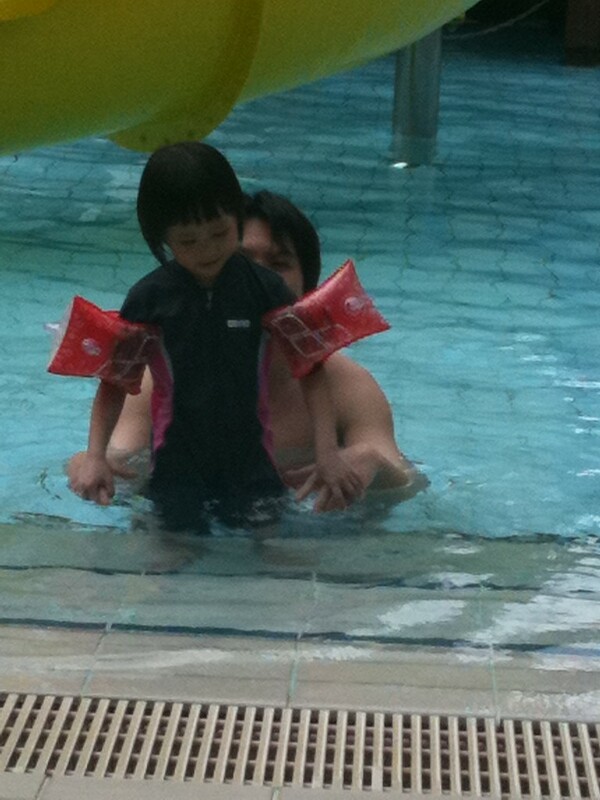 When I went down and saw both of them at the pool, Dawn was at the side of the pool playing with water using her feet. 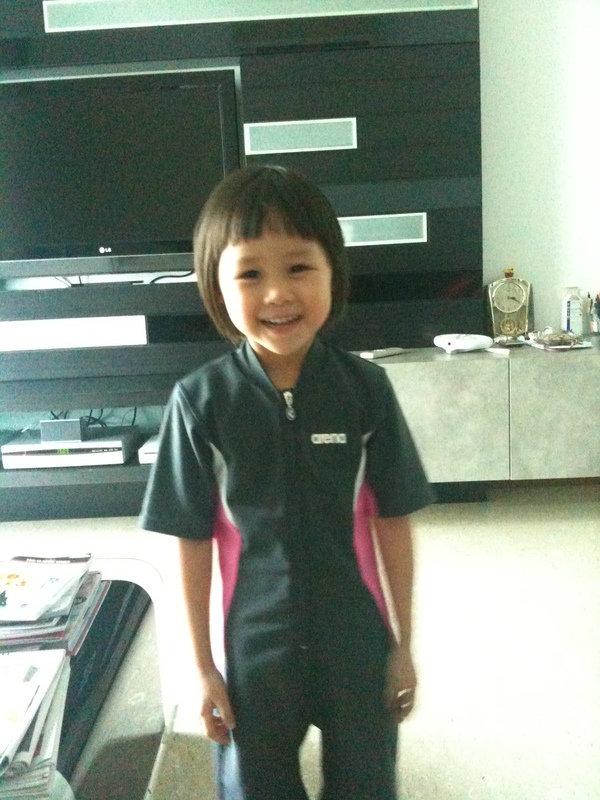 Daddy said that she did not want to go down to the pool despite encouragement. I can’t remember what I said to Dawn after hearing that, but I only said one sentence / comment, and Dawn immediately went into the pool. Daddy stared at me with disbelief. Haha! 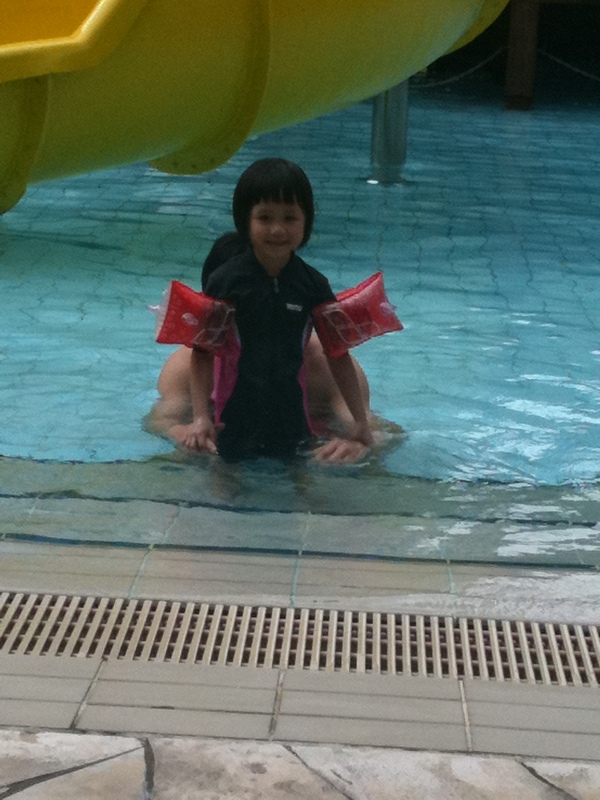 Dawn enjoyed the pool time and she said she wants to be back again!